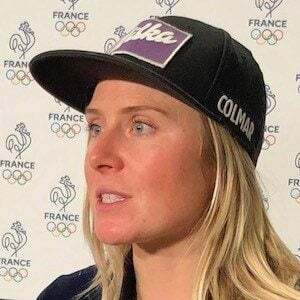 French World Cup alpine ski racer who is best known for competing in the giant slalom discipline. She took home the gold medal in giant slalom at the 2017 Alpine World Ski Championships. She made her World Cup debut at the age of 16. She suffered an injury in 2014 that ended her season early and kept her from competing in the Olympics. She is the daughter of Steve Worley and Madeleine Chevellay. She competed against Mikaela Shiffrin in the 2017 Alpine World Ski Championship.